The Aviramp is also undercover and has lighting, and increases the flow rate of disembarkation by almost 30% compared to stairs. Not only does low gradient ramp provide an improved boarding experience for customers with limited ability or those who require assistance, it makes boarding safer for every passenger, as it removes the risk of tripping or bottlenecks on stairs. For larger planes such as the AirAsia A330s that fly twice-daily between Avalon and Kuala Lumpur, this is a significant safety feature, and one Avalon Airport CEO Justin Giddings has been looking forward to having at the airport, as part of the new international terminal experience. 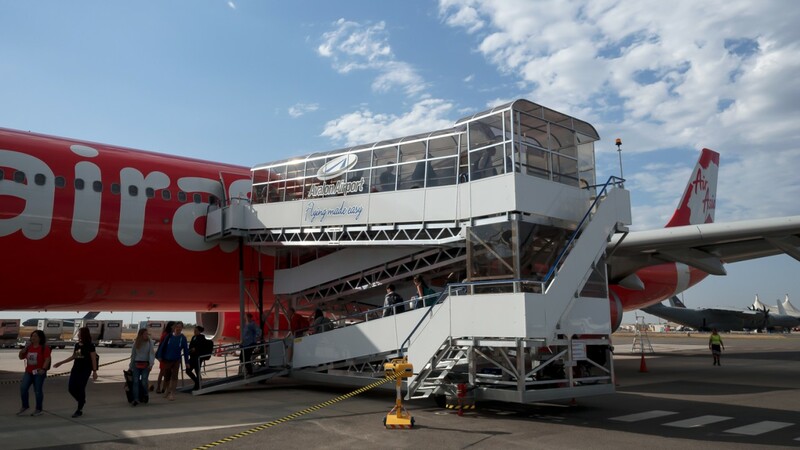 “It has been an objective of ours to improve aircraft accessibility for a long time,” he said, “and we’re thrilled that the Aviramp has arrived and is now in use by AirAsia. The Aviramp International was purchased through distributor Adapt A Lift GSE.